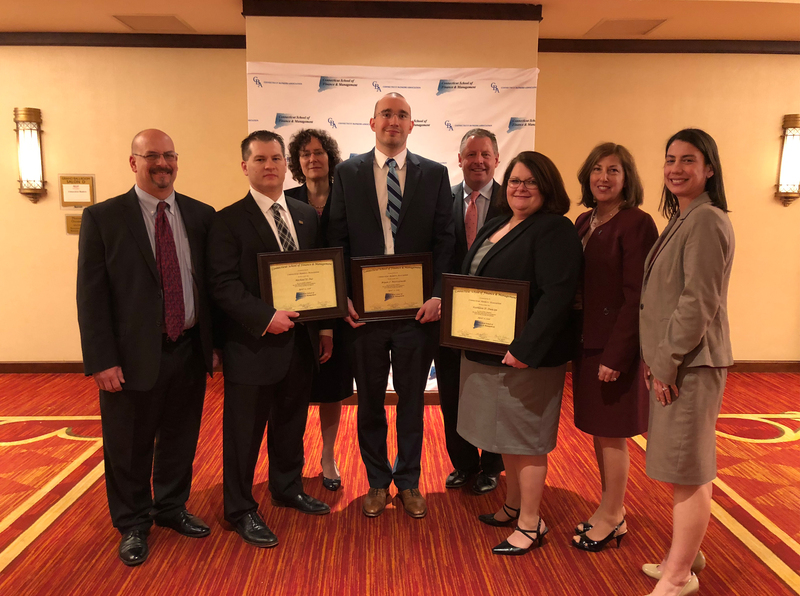 Guilford Savings Bank would like to congratulate Kathy Duncan, Bryan Mierzejewski and Mike Paz for graduating from the Connecticut School of Finance & Management ("CSFM"). The primary purpose of CSFM is to provide an opportunity for banking professionals to obtain a more comprehensive knowledge and awareness of banking theory, practices and procedures, capital markets and management functions. This two-year program is designed to increase the knowledge of the students in their own specialties and at the same time introduce them to a wide range of banking topics. Upon conclusion, the students will have developed a broader perspective of the industry, and more enlightened view of their own bank and most importantly, a better awareness of their individual capacities. Congratulations, Kathy, Bryan and Mike!